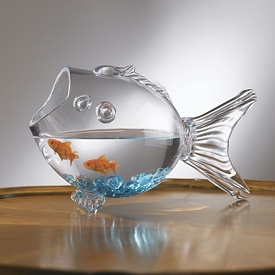 Gloria « Living Life in a Fish Bowl! Living Life in a Fish Bowl! So many aspects that we could zero in on. I want to look this year at the witnesses. My dad died when I was 17. It was shortly thereafter when the roles started to reverse and I found myself looking out for my mom. I wanted to protect her and spare her anymore pain. At one point during my college years I had decided that I would leave at the end of the year and move back home to be with her. She was slowly fading away from loneliness. God did an amazing thing. Before the school year was over, my mom was engaged to be married to a local church man whose wife had passed away. I stayed in college and the rest is history. There is Jesus on the cross and his mother is right there. He can’t spare her the pain but He can see to her future. Let’s take some time today to remember the price that was paid for each of us, the love that kept Him on the cross, and the freedom that we have in Christ. It wasn’t just any ordinary meal. It is here that Jesus speaks of the upcoming betrayal. Truly this wasn’t an ordinary meal. This one would be remembered through the ages. With a heart filled with gratitude! We’ve talked about the triumphal entry into Jerusalem. Today we will look at weeping and cleansing. We then find Jesus entering the temple. “A den of robbers” indicates that unfair dealings were taking place. Even though animals were needed for the sacrifices, selling them inside the temple was not acceptable. I believe it was also a prophetic action that sacrifices were no longer going to be needed. Jesus would become the sacrifice once and for all. Weeping and cleansing — let’s take some time today and pray for those who are living with out hope. Let’s take some time to ask Jesus if there is a cleansing that needs to take place in us. Maybe it’s a negative attitude, a destructive habit, a stingy mindset, a laziness of sorts, complacency, pride, envy, a lying tongue…. is there something that is standing in the way of us being all that God intends us to be? Parades bring excitement – This was an unusual parade. Returning from war, Roman emperors would not choose a colt but a fine prancing horse for their parade. There would be warriors, prisoners in chains, and a great display of the spoils of war. Instead Jesus came riding on a colt, no warriors, no prisoners and no spoils of war. They were looking to Him for deliverance. The word is out. He raised a dead man, he healed the sick, the lame walk, the blind see – surely He can free us from Rome. Finally Rome will be overthrown. They thought they knew what should be done – what was best. If we aren’t careful we can fall into that trap easily – thinking we know what is truly best instead of trusting God. How much frustration would be eliminated if we placed our expectations in the hands of Jesus and trusted Him with outcome? Not my will but Yours be done! Jesus is leaving Jericho heading to Jerusalem – 17 miles Three times He tells his disciples what will happen there – death and resurrection. They don’t get it. V 32 He stood still, and called them, He was on His way to Jerusalem, He knew what was ahead and yet he stood still. He met them in that moment. What Do We Do? Are we in such a hurry that we don’t hear or see what is going on around us? We should be willing to stop, stand still and do good. Lord, help me to not be so focused on my agenda, in such a hurry to get to the next thing that I don’t see the need right in front of me. Help me to be Your hand extended today. Yesterday we looked at what James 3 says wisdom is. Today we will look at the verses in between. We’ve all met mean-spirited people. They will climb over anyone that gets in their way. Yes, they have ambition but it is full of conniving and using people. They are looking out for themselves and unconcerned about the cost others will pay. No one wants to work with a selfish person. Even if they have knowledge about the project, their selfishness will cause problems. When it comes to jealousy the wise thing to do is recognize it and get rid of it. It truly is a green monster. What does it look like to be a person who is wise? While there are many correct answers, today I want to look at what James has to say. What pours out of you will reveal your true level of wisdom. God’s wisdom is demonstrated by a life that gets along with others. He/she recognizes that there may be something to learn from a discussion. It is someone who is straightforward – doesn’t beat around the bush. Yet, in the process is someone who is full of mercy. A wise person is someone who is sincere. No matter who they are with, they act the same. Yes, we all have room to grow in wisdom. Live well, Live humbly. Walk your talk. I thought I was done with you. I had said my good byes. You are a horrible ‘friend’. You cause nausea, headaches, sleepless nights and make me feel on edge All The Time. I thought that I was all better without you. I thought I no longer needed you. And then I got the call. When the doctor informed me that he was putting me back on prednisone (this time for six weeks) I knew it was a challenge that I did not feel I was up to handling. Prednisone you are not kind. Your friendship is certainly a challenge I do not want. Many of you know that it really doesn’t matter when your body has issues. So I do what I know works. When in the midst of a challenge I don’t want to face, I fall on my face before God. I stay there and return there every time that peace seems to be outside my grasp. Becoming aware of His presence brings a calmness that is much needed. When I give in to the frustration of this ‘friendship’ I take my eyes off of Jesus. My awareness of His presence is hindered by my focus on the reaction my body is giving to this drug. Luke 6:45 is my battle cry! Will I get it right every time? No! I can tell you that I have had to apologize and I have no doubt that I will need to apologize again. Yet, that does not mean that I just give in to the medicine and be a jerk. God’s got this! More important God’s got me and He has you too if you will just lean on Him. 6 more weeks — trying to wrap my head around 6 more weeks. You know that moment when you realize that the outcome you believed, with all your heart, is not the reality you are in? Two weeks ago I started on prednisone. Click here for the start of the journey. I went back for blood work fully expecting my sed rate to be in the acceptable range. With God’s help, I managed to navigate the two weeks keeping Godzilla at bay. To God be the glory! My sed rate is down but still too high. Instead of a prescription for two weeks, I picked up one for six weeks. The thought of six weeks was enough to put me in full force tears. The edginess, the nausea, the insomnia, the tiredness, the hunger, the headaches, the tears, the emotions all over the place — 6 weeks – which happens to include some mighty big things: Easter, twins birthdays, district council meetings, motorcycle blessing and show and the day to day life filled with loving God and loving people. I can’t possibly hibernate for 6 weeks, can I? “when my heart is overwhelmed. Where do I go when I don’t get the answer that I so badly thought was coming? I go back to God’s Word. I call upon my Savior. I lay my disappointment at His feet – knowing He loves me, will be there every step of the way, and He will use this for my good. How? I don’t have to know. I just need to trust. But most of all, I will not fear period because God is greater. I may have to remind myself of this daily. A great reason to be in the word daily. It amaze me how God knows just what I need when I look to Him. I had lunch with a friend today. It’s been way too long. We had so much catching up to do that this one visit wasn’t going to accomplish it all. I wonder, do we do that to God? Maybe you haven’t talked to Him in ages so you have a lot of catching up to do. Pray without ceasing is something we get better and better at as our relationship with God grows. It is having a mindset that God is always listening. He is our first response not last resort. We can talk with Him anywhere. Our thoughts can become prayers and He reads our heart when words just aren’t there. Why not take a moment right now and talk with God, give Him thanks for this moment, and don’t forget to offer up your praise to Him. Praise tears down walls. Welcome to my fish bowl! Things that matter to me are: God, family, friends, helping people, taking time to really live in the moment, and trying to slow down in a fast paced world. Please note that any advertisements that you see on this blog are placed here by WordPress.com. The Administrators of this blog have no connection to or financial interest in any of the promoted products and/or services and gain no income from any advertising displayed on this blog. this is what they meant? ?